If design is all about the details, Alessi has developed a successful formula for making thoughtful, fresh, and functional objects that delight design lovers worldwide. A new roster of architects and industrial designers have contributed sleek new accessories and decorative wares for the Autumn/Winter 2013 collection across the Alessi, Officina Alessi, and A di Alessi collections. AN got a first look at Toyo Ito‘s newest tablewares, Mario Trimarchi’s jewelry, and much more. This year marks the French architect and designer’s first collaboration with Alessi Officina. 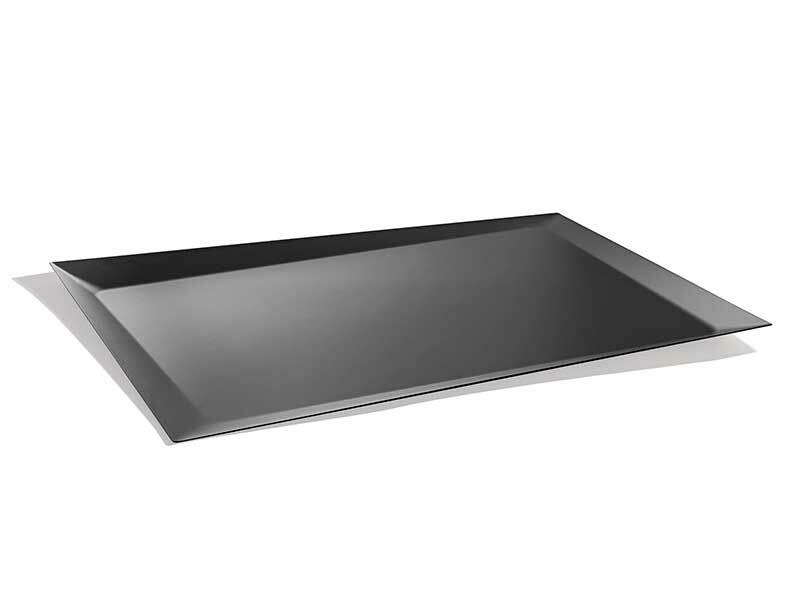 Her angular serving tray plays on tradition with a planar twist from corner to corner that appears to originate at varying perspectives. It’s available in black (shown) or mirror-polished stainless steel. 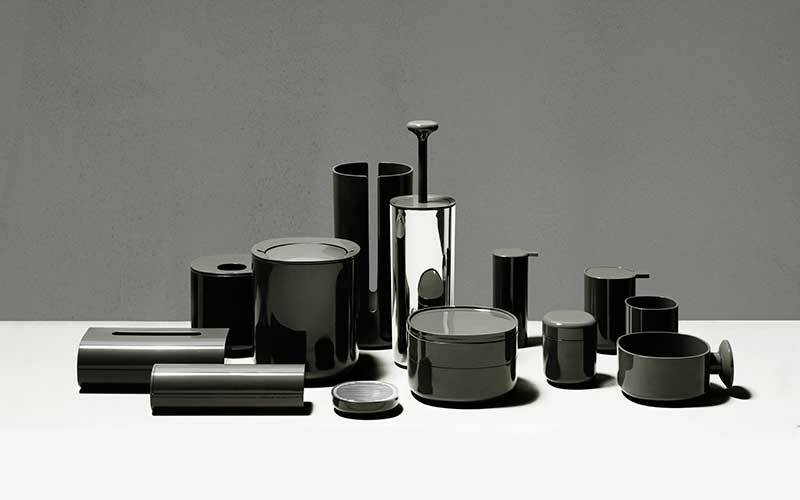 Alessi’s first collection for the bathroom has been enhanced with a gray color offering and five new items: a tissue holder, toilet roll holder, liquid soap dispenser, bathroom container with a lid, and a soap holder for the shower and bath. The elliptical form features a concealed bottom for a weightless appearance. 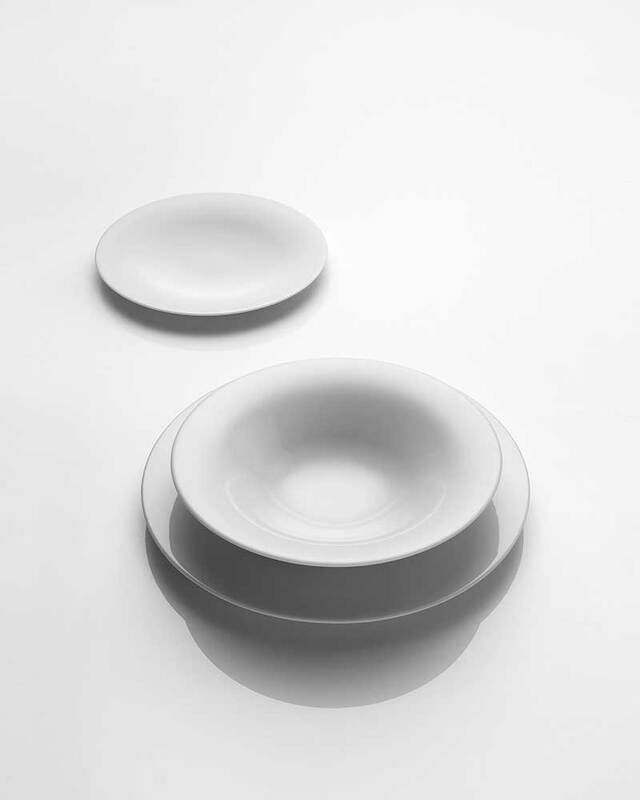 Pritzker Prize-winning architect Toyo Ito first designed his KU tableware collection in 2006 to suit the Japanese portion palette, and has recently modified the series for the Western market. The 2013 update features a larger soup dish and oval serving tray that maintains accord with the the full set, from serving dishes to coffee cups. Trimarchi has broadened his La Stanza dello Scirocco collection of stainless steel decorative objects and accessories with two new pieces of jewelry. The ring and cuff bracelet’s design emulates cards fluttering in the wind and can be adjusted for custom sizing. 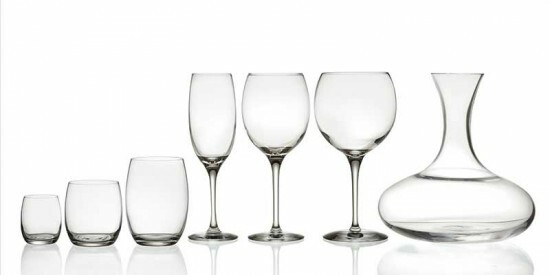 Originally released in 2003, Giovannono’s collection of glassware and stemware has been updated to today’s serving size standards, inspired by the dimensions of current wine tasting glasses. Vessels for several varietals of wine, water glasses, decanters, and tumblers are all made from crystalline glass.